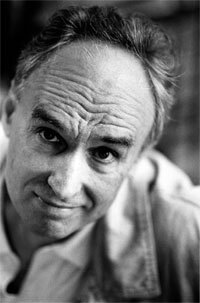 New Haven, Conn.—A three-judge panel has named Frank Bidart the 2007 winner of University’s Bollingen Prize in American Poetry. This year’s judges were Langdon Hammer, professor of English at Yale University, Nicholas Jenkins, professor of English at Stanford University, and the poet Ellen Bryant Voigt of Vermont. Frank Bidart was born in Bakersfield, California, in 1939 and educated at the University of California, Riverside, and at Harvard. He joined the faculty at Wellesley College in 1972. His volumes of poetry include In the Western Night: Collected Poems, 1965-90 (1990), Desire (1997), Star Dust (2005), all from Farrar, Straus and Giroux, and Music Like Dirt (2002) from Sarabande Books. The judges also said: “An unearthly mixture of the Dionysian and the Apollonian impulses, the terrifying and the humane, the wildly inspired and the minutely crafted, Bidart’s poemssubtle—eerie, probing, sometimes shocking, always subtle—venture into psychic terrain left largely unmapped in contemporary poetry. His imaginative strenuousness and his fastidious avoidance of complacency or easy repetitions of past triumphs have led him to STAR DUST (2005), one of the strongest books of the last two years, in which Bidart manages to extend his range while never losing his voice. Indeed, Bidart’s uniquely stringent meditations on the problems, enigmas and possibilities of a poet’s ‘voice’ constitute one of the most distinctive characteristics of his poetry. For all these reasons, the Bollingen Prize Committee for 2007 is pleased to honor Frank Bidart, who has already built up a lifetime’s worth of memorable work and yet whose future writing seems certain to be freighted with fresh challenges for himself and for his readers. The Bollingen Prize in Poetry, established by Paul Mellon in 1949, is awarded biennially by the Yale University Library to an American poet for the best book published during the previous two years or for lifetime achievement in poetry. Previous winners include Wallace Stevens, Marianne Moore, W. H. Auden, E. E. Cummings, Louise Glűck, Adrienne Rich, and Jay Wright. The prize includes a cash award of $100,000. For more information about the Bollingen prize visit the following web site: Bollingen Prize for Poetry at Yale or contact Patricia C. Willis, curator of the Yale Collection of American Literature, 203-432-2962 or patricia.willis@yale.edu. Please join us for a poetry reading by Nathaniel Tarn on Thursday, February 22nd, 2007, 4pm. This event is free and open to the public. 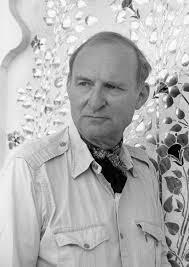 Poet, translator, anthropologist, and editor Nathaniel Tarn is the author of more than thirty volumes of poetry, essays, and translations, including a collection of his essays on poetics and anthropology, Views from the Weaving Mountain, and his recently published Selected Poems 1950-2000. Tarn founded and edited the Cape Editions series in England in the 1960s, publishers of Charles Olson, J.H. Prynne, Ted Berrigan, and others. He is the recipient of numerous awards including the Guinness prize, a Wenner Gren fellowship, a Commonwealth of Pennsylvania fellowship, and a Rockefeller Foundation fellowship. Until his retirement in 1985, Tarn was a professor in comparative literature at Rutgers. Born in 1920, Barbara Guest is associated with the group of poets known as the first generation of the New York school of poetry, including Frank O’Hara, John Ashbery, and James Schuyler. This group, active in the 1950’s, was heavily influenced by abstract expressionist and surrealist art. She continued to write innovative poetry and prose throughout the late twentieth century until her death in February of 2006. Guest is the author of books of poems, plays, prose, collaborations with artists, art criticism, and a critically acclaimed biography of the poet H.D. 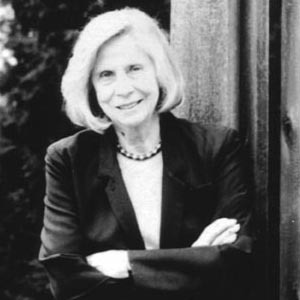 She has received the Robert Frost Medal for Distinguished Lifetime Achievement from the Poetry Society of America, the Longwood Award, the Lawrence Lipton Award for Literature, the Columbia Book Award, and an NEA grant. The Beinecke’s collection of Barbara Guest papers consists of 38 boxes of material relating to the poet’s work and life, including writing, artwork, photographs, audio tapes, and video cassettes. The collection includes correspondence from Daisy Aldan, John Ashbery, Max Eastman, Marianne Moore, Laura Riding, and drafts or manuscripts of Herself Defined, Seeking Air, The Countess from Minneapolis, and other works. For more information on the Barbara Guest papers, please search for “Barbara Guest” in the Beinecke Library’s Uncataloged Acquisitions Database.